Ready to invest in a high-performance luxury vehicle that can accomplish anything you throw its way? Also, want to save on your next car? Then it’s time to take a look at a Certified Pre-Owned Land Rover Range Rover Sport. This Land Rover model is best known for its athletic performance and advanced features. When you’re ready to further explore the capabilities of the Land Rover Range Rover Sport, visit us at Land Rover Annapolis! 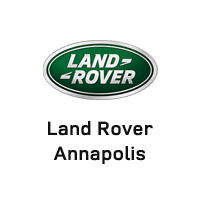 Whether you’re set on a Certified Pre-Owned Land Rover Range Rover Sport or are interested in taking a look at other Land Rover models, Land Rover Annapolis is your go-to destination! Make an appointment or stop by our dealership today to test drive the model of your choice.